3328 Reserve Trl, Chesapeake, VA 23321 (#10231320) :: Abbitt Realty Co. Completed & ready to be a home! 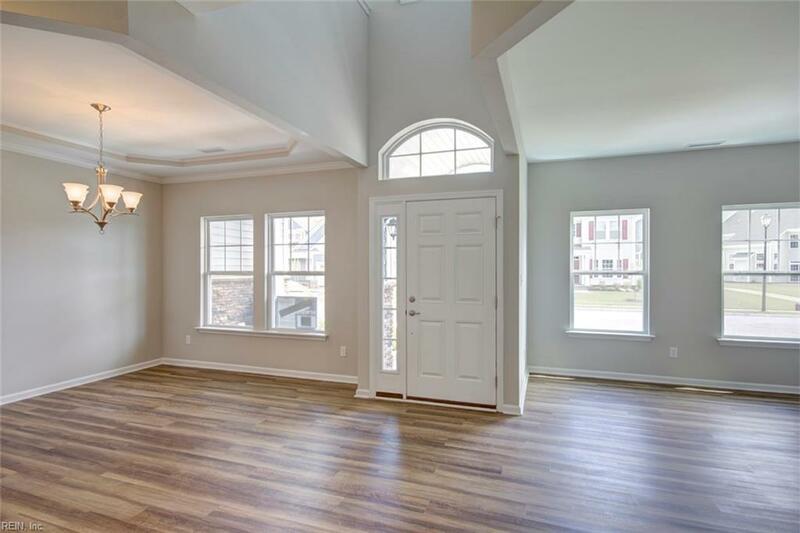 Waterford model open floor plan with 2 story foyer open to the living & dining room. 1st floor bedroom & bath plus powder room. 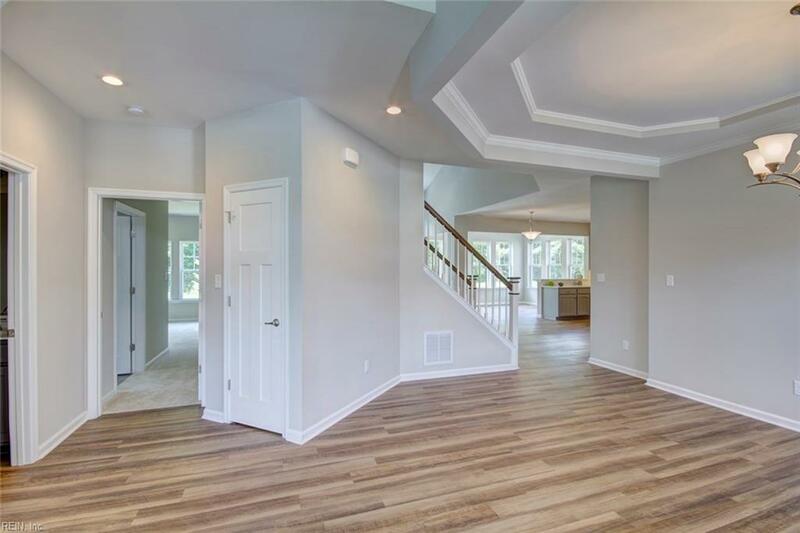 2 story sloped ceiling & gas fireplace with mantel creates an impressive family room, open to the sun room & gourmet kitchen. Plenty of room to entertain with an extra large island, wine rack, wine cooler, quartz counters, painted cabinets with crown molding, wall oven & electric range. Wideplank LVP throughout the 1st floor. 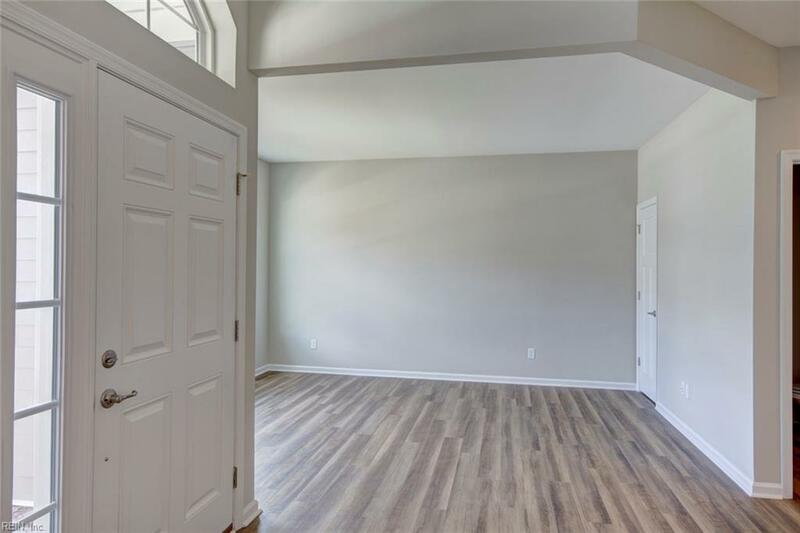 Master suite with cathedral ceilings, extended walk in closet, bathroom with oversized tile shower, glass surround, double vanity & quartz counters. 2 additional bedrooms & loft area on the 2nd floor. Entry from the garage with a bench. Extensive wiring plan with 30 amp hook up for a portable generator. Too many upgrades to list! Home backs up to the tree line with no homes to be built behind it! 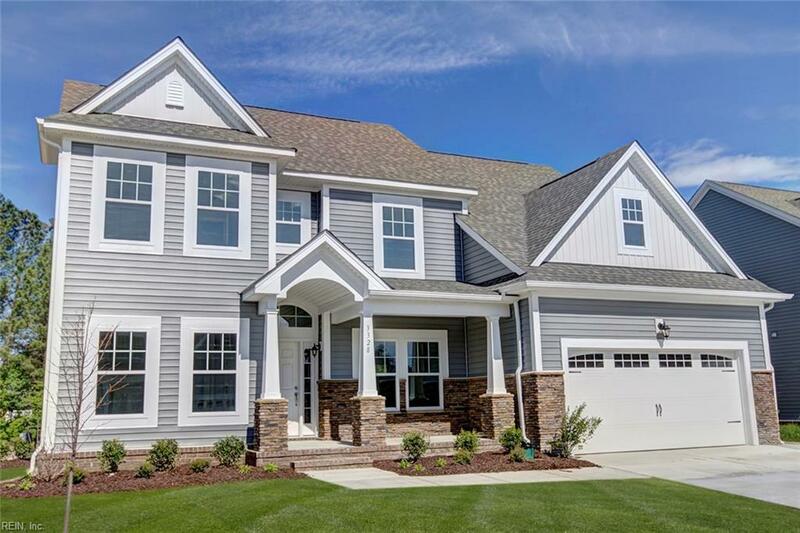 $7,500 in closing costs with use of our builder preferred lenders, built by Napolitano Homes, est. 1977.